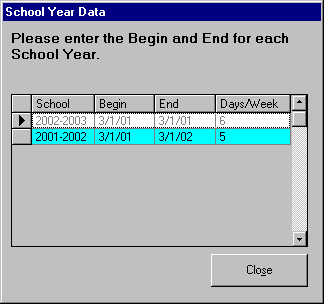 This is the List of school year data. For a description of the buttons please scroll down. This is the List for semester's duration.